When it comes time for buying an upgraded or replacement head unit for your vehicle, there are certainly a lot of options to consider. Size, features, compatibility and accessories are just the tip of the iceberg when it comes to modern source units. Let’s take a look at some basic radio-buying knowledge and a few of the latest features and innovations that vie for space in your dash. 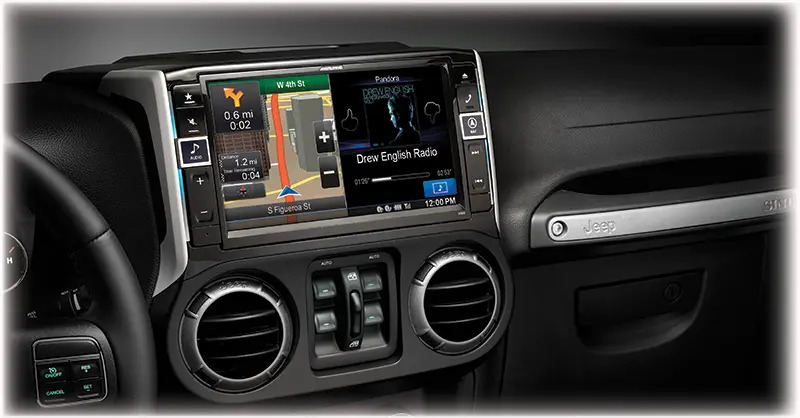 As the name implies, a double din radio is twice as tall as a single din radio. There are two sizes of aftermarket radios available: single-DIN and double-DIN. The former is 2 inches tall, the latter is 4 inches tall and both are 7 inches wide. One size isn’t better than the other; they are just different. Single-DIN is the most popular size for AM/FM CD receivers, and double-DIN (also known as 2-DIN) is more popular for multimedia receivers. There are some small-screen single-DIN multimedia decks and a good variety that have motorized flip-out touchscreen monitors. Here is where your pre-purchase homework begins. What do you want your new radio (also known as a source unit) to do – iPod audio playback? Bluetooth hands-free cellphone and audio streaming? Backup camera display? Digital media playback? Consider how you use your existing radio and what features you’d like to have. Make yourself a list and take it with you to the store. The Kenwood DDX393 head unit offers 3 sets of preamp outputs. It will help your salesperson if you know whether you want to expand the audio system with better speakers, an amplifier or a subwoofer. If so, then you should look for a source unit with six-channel preamp outputs rated at a minimum of 4 volts RMS. The unit should have adjustable electronic crossovers and a subwoofer level control built in. Are you going to use an external signal processor for equalization, or is the built-in unit adequate? Look for as many equalizer bands as possible if you are going to use the on-board processing. 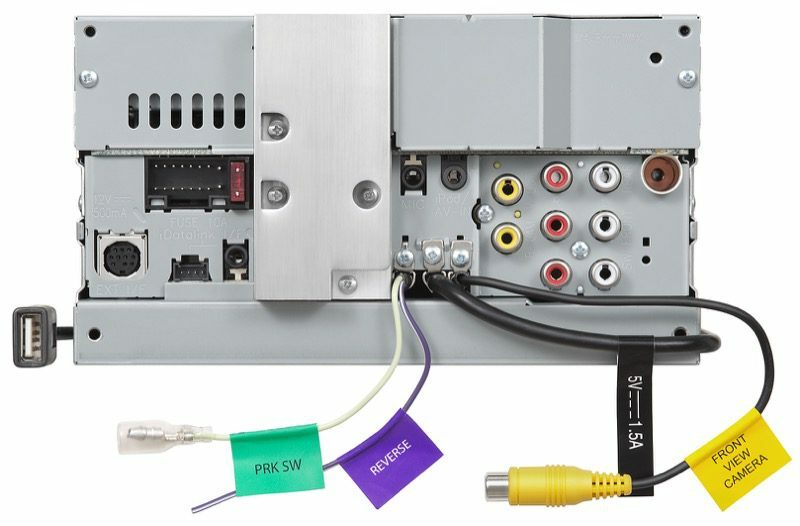 Some source units offer time alignment to delay the signals to the speakers for better imaging and staging. Imaging and staging refer to where it seems as if the music is coming from. Most audiophiles prefer for it to sound like the performance is coming from as far out in front of them as possible. Some people like to be surrounded by the sound. Let your salesperson know which you prefer. Most radios these days have the option of a Bluetooth transceiver. Bluetooth is a low-power data communication protocol. It can be used for hands-free phone calls, audio streaming and – beyond the car audio environment – much more. Take your phone with you to the store and pair it to the radio you are thinking of buying. Turn the power to the radio on and off a few times and make sure it reconnects every time. Have the store call your phone to make sure it rings as expected. Finally, try streaming audio from your phone to the radio. 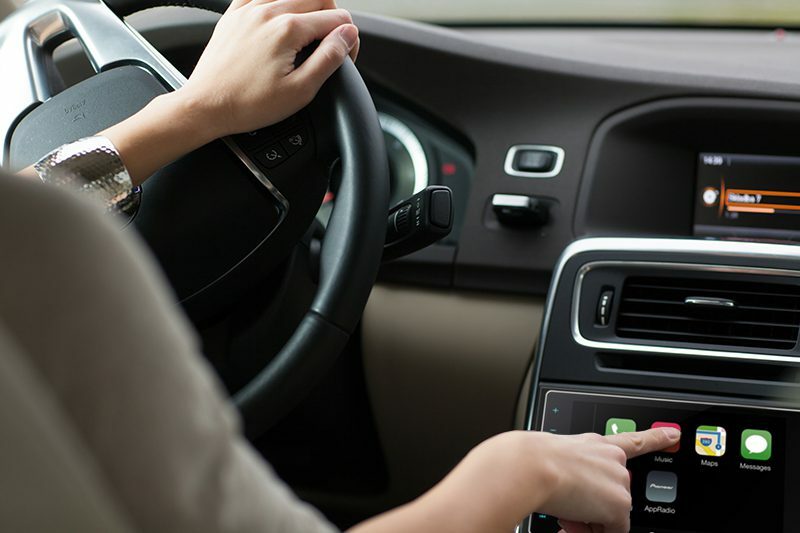 Many radios now offer the safety and convenience of Apple CarPlay or Android Auto. It’s critical to make sure the phone works properly before you purchase the radio. If the software on the phone is updated (something that seems to happen every few months), some features or functions may not work as intended. Some higher-end source units will allow two phones to be paired simultaneously. This could be beneficial to families who share the use of the vehicle. 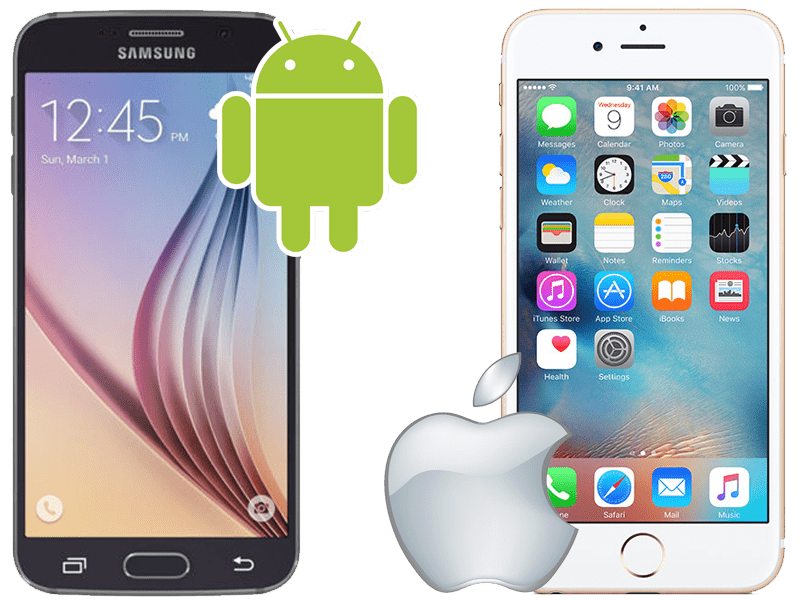 There are several multimedia radios that include dedicated smartphone integration software for iPhone- and Android-based phones. 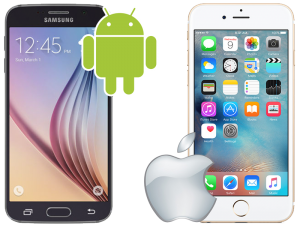 Apple has developed the CarPlay system for the iPhone, and Google has Android Auto for newer Android devices. These interfaces let you talk to your radio to perform functions like reading and sending text messages, making phone calls, getting navigation instructions, and choosing what music to play. 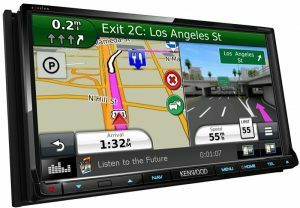 The Kenwood DNX892 offers sophisticated navigation features. 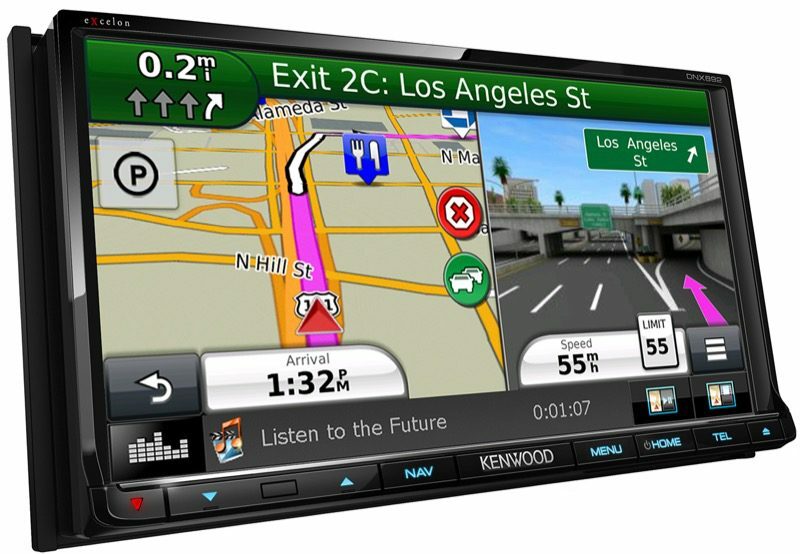 Multimedia source units have become synonymous with GPS navigation. Mapping software is built into the radio, and it knows where you are using a signal from a series of satellites that are in a stationary orbit around the world. These programs rely on complex algorithms and map data to plot an efficient course from your current location to a destination you choose. You are, however, at the mercy of the accuracy of the map data. You will want to inquire about the cost to upgrade maps, and what the procedure is. You will want to check to make sure that any state or province you want to travel to is included in the mapping on the unit. Finally, ask about how many Points of Interest are included. If you love to get your coffee from Starbucks, then the more POI information there is, the faster you can get your java fix. Most people now source their music from the Internet. Historically, MP3 and WMA files were popular. These files were very small, and you could put hundreds of them on a single CD and thousands on a DVD or USB stick. Their problem? The file size was reduced by throwing away some of the most subtle information in the music. The audio wasn’t completely ruined, but these didn’t sound as good as a CD. The industry has seen a welcome focus on high-resolution audio files in the past few years with the rise in popularity of FLAC and ALAC file formats. FLAC stands for Free Lossless Audio Code and ALAC for Apple Lossless Audio Codec. These file formats are lossless – no audio information is removed. They are compressed in a similar way that “zipping” a computer file makes the file smaller for more efficient transmission by e-mail. These file formats also support higher resolution – audio frequencies up to almost 100 kHz and more detail in the form of 24-bit depth. If sound quality is your thing, then support for lossless audio might be worth investigating. On multimedia source units, manufacturers have recently added support for the H.264 codec to the list of video file formats that can be decoded. H.264 is most often seen in video files with the MKV extension (known as Matroska). These files offer great image quality in relatively compact file sizes. Many newer multimedia units also feature an HDMI input so you can feed video into the unit from your phone, a video camera or even a game system. The better units have an associated feature called MHL. On Android phones, you can use the MHL connection to send touchscreen commands back to your phone. You can change source and play movies or music videos from your phone without touching it at all. We have grown accustomed to satellite radio being an option on many radios – in its current format, SiriusXM is now the only option. Be wary of older source units. They used tuner modules that are extremely rare these days. You may want to check for the inclusion of an HD radio tuner if there are stations in your area that use that as part of their FM broadcasting. Pandora and other cellphone-based streaming sources are also popular source unit options. 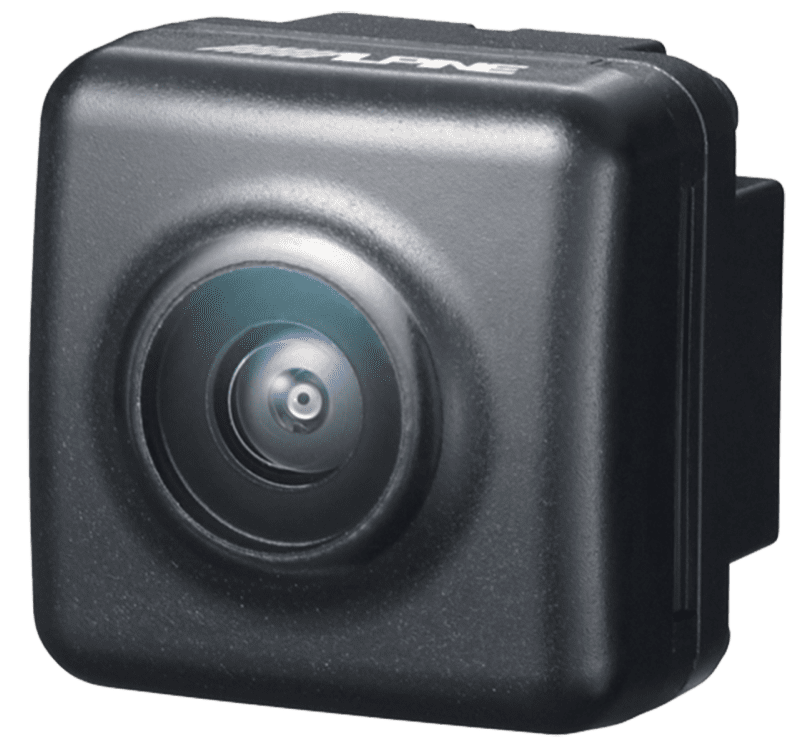 The Alpine HCE-C125 is a high-quality backup camera that offers great image clarity. With a multimedia radio, you will want to look at adding a backup camera. Backup cameras dramatically reduce the chance of having an accident while backing up your vehicle. The camera image appears on the screen of your radio as soon as you put the vehicle transmission in reverse. Some multimedia radios have the provision for a secondary camera – a forward-facing camera is a great idea for lowered vehicles or sports cars that could bump into a parking curb. If you have read many of our articles, then you know by now that some companies like to play games with specifications. The worst offenders are the guys that rate head unit amplifier power. They put 45, 50 or 53 watt labels on the radio when, in fact, most produce no more than 18 to 22 watts of undistorted power. Look through the owner’s manual for the CEA-2006A compliant power specification for your vehicle. If you want to compare power, that’s the only specification you should consider. Another important specification is preamp voltage. Nobody plays games with this specification any more, but you do want to look for a good, strong pre-amp if you plan on adding amplifiers. Look for a rating of 4 volts or more. Why is this important? While it doesn’t make your amplifier play any louder, it does let your installer turn down the sensitivity adjustment on your amps, so you get all the power with potentially less background noise. 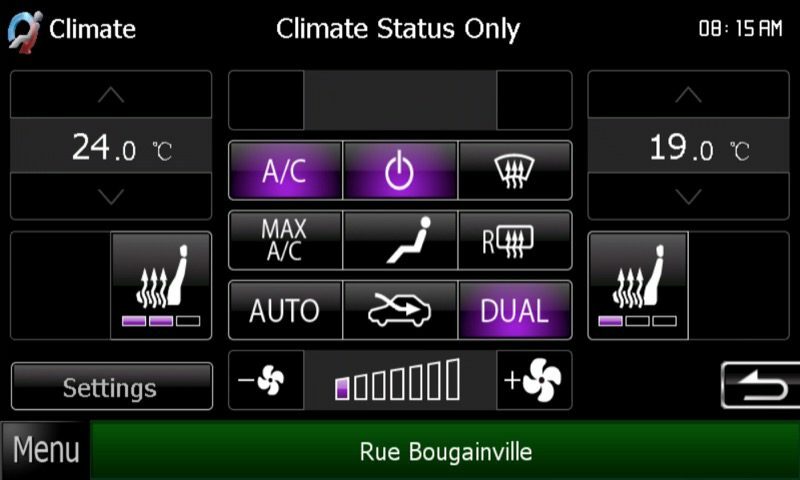 The Maestro Interface allows control of vehicle settings via the head unit. 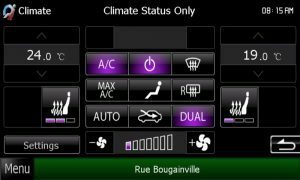 Factory-installed source units often include different forms of vehicle integration features. The simplest are steering wheel audio controls. Thankfully, almost all quality source units can be made to work with factory controls via an external interface. If your factory radio also serves as the control screen for your heater and air conditioning, or for vehicle settings like headlight reminders, then fear not: The iDataLink Maestro system can talk to your vehicle and let you see what’s going on via the touchscreen of your multimedia radio. Axxess, a division of Metra Electronics, will be launching a similar interface very shortly. How you interface with the radio is one of the most important aspects of head unit selection. Above all else, the first thing you want to do after you have narrowed down your source unit options is to try them out. Is there a rotary or push-button volume control? If it’s push-button, does it respond fast enough if you want to turn the volume down quickly? Can you easily pair a new phone to the radio? Can you adjust the bass and treble? Set radio station presets? Make a phone call? You will want to spend a few minutes in the store playing with the radio to make sure it’s easy and safe to use while driving – not all of them are. There are hundreds of different source units on the market, and your local car audio specialist can help you navigate all the options. There are still many more features and options that your salesperson can discuss with you, so work with your local car audio specialist retailer to make sure you get the radio that meets your needs.